Which beaches should be visiting on your trip to Phuket> Well, that’s a tough question as the island is so beautiful with warm water, soft sand, along with rugged mountains that touch the soul of the people visiting it. The southern end of Phuket island is well immersed in the Andaman Sea. Plentiful rainfall along with war and tropical climate makes the beaches on the island look like paradise. So here 4 beaches to visit in Phuket that you should definitely take a trip to when going on a vacation to Phuket. This beach not known to many people, but it has something of its own. The northern part of the Surin Beach is this beach, but a small headland completely cuts off this beach from Surin beach. This is the reason why there is less crowd on Pansea Beach and most of the people don’t even know it’s there. Thus the natural beauty of the beach is preserved, which surely makes it an important place to visit. There are 2 beachfront resorts at 400 meters distance from the beach and is very less populated. This beach is on the west coast of Phuket and is relatively quiet. This beach is very isolated and has clear and calm water with fine sand on the beach. It has a great swimming conditions as there is no off-shore reef here. Casuarina and other trees along the beach make a thick line that provides great shade to the beach. Karon beach has the finest sand running close to 3500 meters. Phuket started to gain its popularity in the 1980s because of this beach along with Kata to the south and Patong on the north.The beach is so nice that it has been chosen many times for sand building competitions, X-Sports, Asian Beach Games, etc. This is because of the reason that it has a perfect mix of ground-up and coral shells, and silica. The beach is very clear and end-to-end can be seen very clearly, making it a great place to visit in Phuket. Last but not the least, this beach is also a must visit beach in Phuket. The good thing is that there is no commercial development going on right behind the beach, hence it is very cool and quiet, but there are no beachfront hotels either. This is Phuket’s one of the best swimming beaches, and has greenery behind and along the length of the beach with headlands at the ends. So these were best 4 beaches to visit in Phuket. 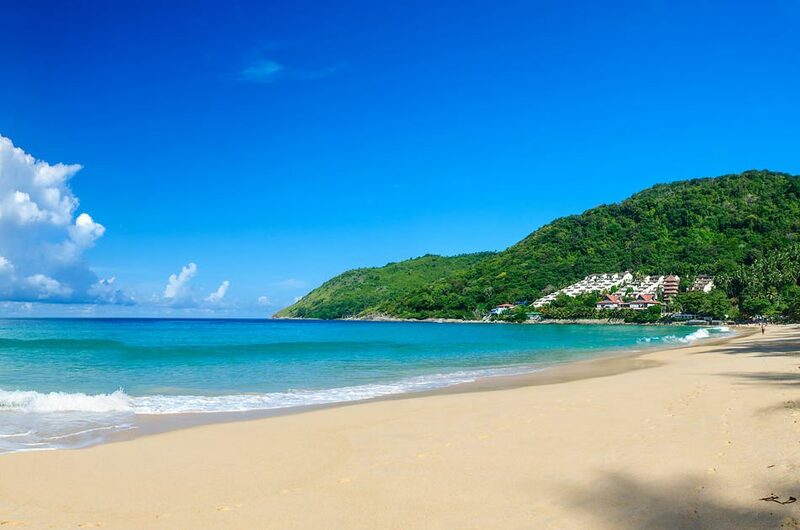 If you are planning your vacation to Phuket and keep these beaches as your top priority.